It’s always interesting where your day can take you if you don’t have a plan. That’s exactly what happened on Saturday which ultimately led to doing some decorating in the master bedroom over the weekend. It started with Joshua suggesting a visit to Lowe’s to look at a couple of things. One of our big projects we want to tackle is pulling out all the carpet and replace it with Pergo, so we looked at prices and picked up some samples. We’re planning on doing the flooring ourselves, something we’ve done before, so that way we can do it in stages since there is a lot of square footage. Next I thought it would be fun to venture to Fountains at Roseville (shameless plug, hehe) where I bopped around in West Elm, Anthropologie, and ZGallerie. 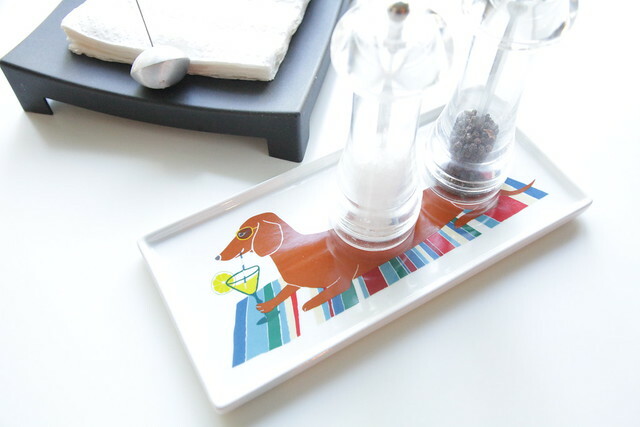 I ended up with a super cute dachshund tray from West Elm! 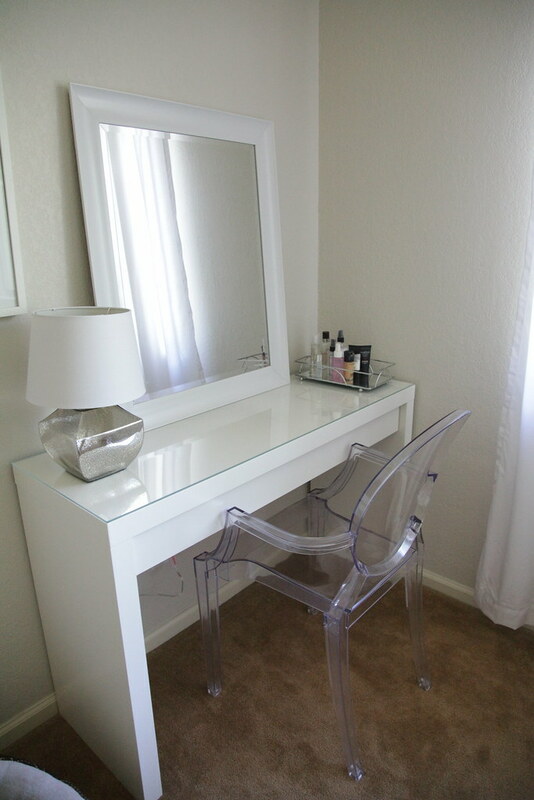 After that I suggested a trip to IKEA where we talked about ideas for our future kitchen, and I purchased the MALM dressing table, something I’ve been meaning to purchase for quite some time ever since I got my Louis Ghost Chair replica at HomeGoods. Since the mirror previously occupied my dresser on the other side of the room it was looking a bit lonely on that wall I picked up some decorations at Target. 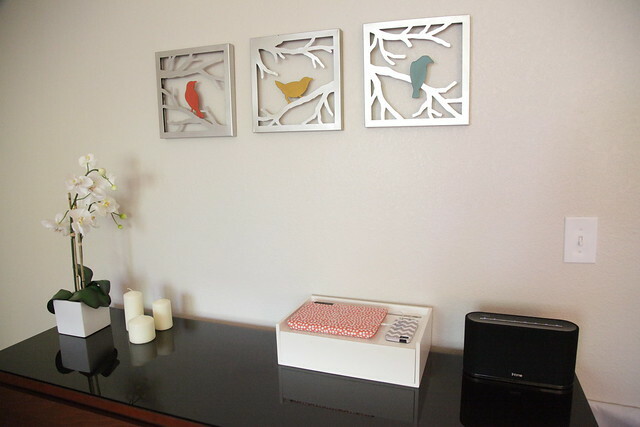 I bought the fake orchid and the metal bird plates from Target, and the IKEA FENOMEN candles were just in a drawer in the guest room waiting to be used. I’ve struggled with decorating this room for quite some time, so it’s nice to see it come together. 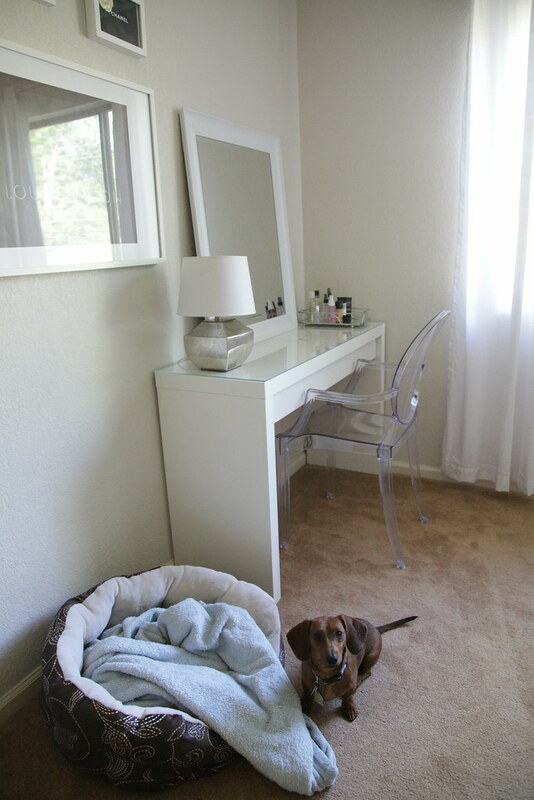 Next step is getting all my makeup organized!